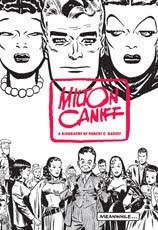 Just in time for the centenary of cartoonist Milton Caniff's birth comes his biography, Meanwhile…, by comics historian R.C. Harvey. Well, I should have had more faith. Harvey has artfully woven a compelling and entertaining narrative that is part biography and part literary criticism. All of the stories and anecdotes serve to advance the book's central themes related to the man's personality and career. 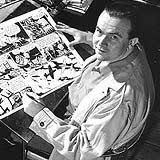 He also deconstructs many of Caniff's strips and storytelling devices to showcase the cartoonist's artistry. 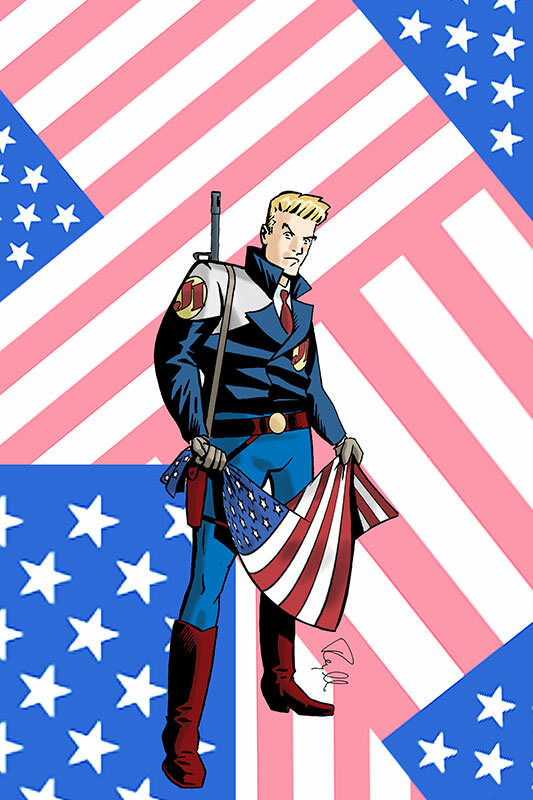 Caniff was the quintessential all-American: a self-made, over-achieving Horatio Alger who achieved success through grit and hard work. In high school and throughout his college career at Ohio State University, he was an Eagle Scout; a high school and college cheerleader; editor of the yearbook, school newspaper, and humor magazine; a member of men's glee; and of numerous honor societies, including the Sigma Chi fraternity which played an important role in his life. He also was an aspiring actor and performer, and did local theater in college. And he accomplished all this while working nearly full time professionally as a staff artist at a regional newspaper through his entire college career. This work ethic was ingrained in him at an early age and he astonishingly maintained it throughout his life (yet still he always barely stayed on deadline). As a working artist myself, I must say his dedication to the grind was sobering but inspirational. 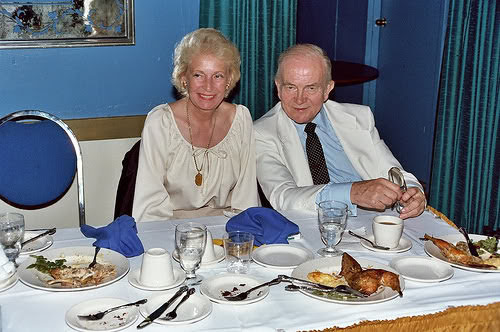 In those heady years, the Caniffs attended private play readings at their neighbors' homes that included Meredith, Ingrid Bergman, and Rex Harrison, and they were regulars in the New York society scene. Caniff's studio often served as a salon of sorts for theater and cartoonist friends, with cocktail parties and poker games often going on at all hours. And through it all, Caniff worked. Throughout his life, Caniff made the most of every opportunity that came his way. Just as importantly, these opportunities were the direct result of Caniff's hard work, ambition, personal charm, and networking abilities. Harvey does a terrific job portraying the era and environment in which Caniff worked; in many respects, Caniff's life also encompasses the history of American cartooning and U.S. history. The book is a compelling read, and I'll be saddened when I'm done. It's great to read a story about a nice guy who, for once, finished first.